Bus Charter Service Vienna provides bus rental solutions for private and corporate clients. Rent our business bus or luxury coach and enjoy the ride to your destination in Vienna. Whether you are planning a business trip or organizing sightseeing in Austria, you can benefit from hiring a professional bus charter for transportation in Vienna. When you use a coach rental, you can rest assured knowing that employees and vacationers will travel in style and comfort. We focus on providing the very best transportation services available in Vienna. Our friendly dispatchers are happy to discuss your transportation needs with you. To accommodate tourists and business travelers, all of our drivers speak English. Our coach vehicles can seat between eight and 65. 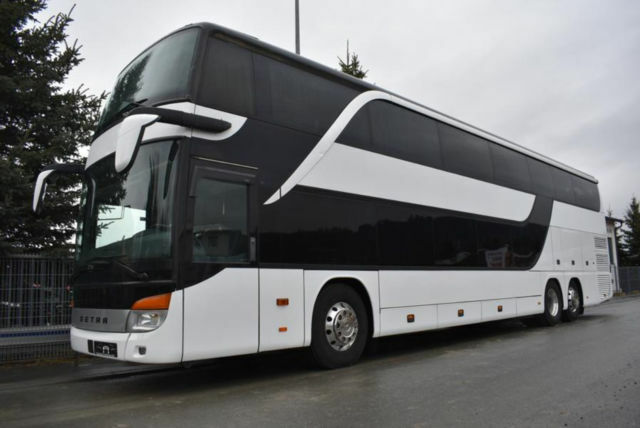 All buses include bathrooms, washing facilities and the most comfortable seating possible. Many of our rental vehicles are also fully equipped with DVD players and entertainment screens to ensure that passengers enjoy every moment of their journey. Refrigerators are included so that travelers can enjoy cold beverages and snacks throughout the duration of their travels. Hiring a bus is an excellent way to reward your employees for a job well-done or to travel to a business show. Our drivers are familiar with Vienna and the surrounding areas. They are happy to recommend restaurants, shopping centers and entertainment venues to our clients. Travelers will be delighted to discover Viennese cultural life while aboard one of our charter vehicles. We are able to arrange visits to a wide variety of attractions and historic locations that tourists enjoy visiting. When traveling in Austria, it's important that you pick the best company possible to handle your transportation needs. Our friendly, professional team is prepared to meet and exceed all of your expectations.